Genesis Program: Connect. Learn. Grow. Building a professional career requires you to develop an expertise in more than just technical skills. 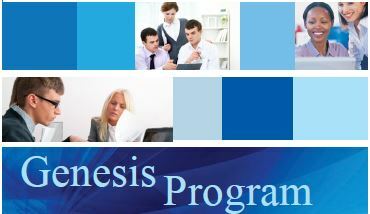 In Genesis, you’ll learn about a range of appropriate protocols, values, ethics, reputation and relationship-building strategies to help you advance your career. ACEC/MA's Genesis Program provides this foundation for moving forward. Three carefully designed instructional sessions address key topics identified by firm leaders as vital for the professional with 3-5 years experience. These engaging sessions will give you new techniques and insights through discussion and instructional exercises. *If your firm is an ACEC/MA Member, you’re an ACEC/MA Member. Participation is limited to 30 people. Registration is first-come, first served, but we will create a waiting list when the class is full. Register online or fax or email completed forms to (617) 227-6783 or acecma@engineers.org. Email or call (617) 227-5551 with any questions. This session focuses on how and why an engineering firm makes a profit. Mr. Beverly covers project and firm economics, overhead, how billing rates are established, utilization importance, the difference between project and firm profits, and how and why managers benchmark economic indicators against other firms. Key concept: to keep an engineering firm afloat, you need to know more than just engineering. In this session, Ms. Cahill will introduce the role that marketing plays in running a successful firm. Topics will include what a go/no-go decision is and how it is made, how marketing is achieved at every level in a firm, the proposal process, and the role of marketing as part of project delivery. Join us for skill-building in key communication areas that will improve your ability to work successfully with colleagues, supervisors and in teams. Topics include: Personal Mastery, Professional Conversation, and Interpersonal Collaboration. The goal is to build confidence in your ability to exchange information while enhancing rapport and working-relationships. If you are Registering Online, you need your Personal Login/Password to register as an individual. If your firm is an ACEC/MA member, you are an ACEC/MA member and can pay the Member Rate. Email acecma@engineers.org for information.